Alicia Hawk contacted us within hours of us reserving the crate. She was amazing at answering all of our questions (and trust me we had lots! ), and also making sure that our shipment was customs ready. Once it was on its way to the UK, Louise Osmond and her team in the UK made sure that there were no hiccups getting it to our doorstep. All our things arrived safe and sound in about 6 weeks from door to door. I can’t say enough good things about them!! Thanks UPakWeShip!! 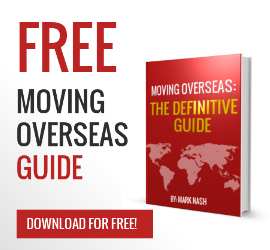 International Moving Doctor says if you are moving to London, ask UPakWeShip for rates and moving options. With offices in the USA and the UK you have UPakWeShip controlling your International move door to door. That is how we maintain the highest quality, the best customer service and the best international moving rates. If that’s not enough of a good reason to look at UPakWeShip, we also publish all of our rates and services online. Guaranteed lump sum door to door all inclusive rates click here.